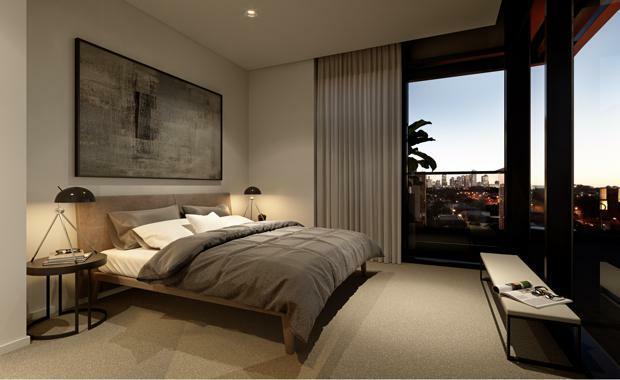 A DA was recently lodged for 'Seamstress', a boutique development in Brunswick East's former industrial precinct which will deliver 27 one, two and three bedroom apartments. The site for the development, at 11-13 Lygon Street, previously operated as a textile factory prior to being purchased by K7 Developments. Seamstress' design was given to the designers at Rothelowman, who intend on drawing inspiration by honouring the sites former use in the inner Melbourne suburb. “Inspiration for the project’s overall concept, including interiors and the architecture, came from the sites former use as a textile factory and we have made reference to that throughout," Rothelowman Senior Associate Alicia Lynch said. When first brainstorming the design, Rothelowman looked into the way the factory operated and the working relationship between raw metal machines and textiles. “Our design cues have come heavily from the raw metal used throughout the factory, the old timber floorboards and the soft nature of the material produced,” Ms Lynch said. The façade has been designed to represent a textile that has been stretched, taking into consideration the warp and weft that create the woven nature of material. “We see the façade as a large piece of fabric being pulled, really focusing the lines of the threads running in a vertical and horizontal direction,” Ms Lynch said. The interior design utilises industrial applications of exposed concrete, timber floors and slider cabinetry to express modernist principles. The slider design is utilised in other areas of the apartment, a large slider between rooms allows residents to open up spaces creating larger rooms for entertaining. 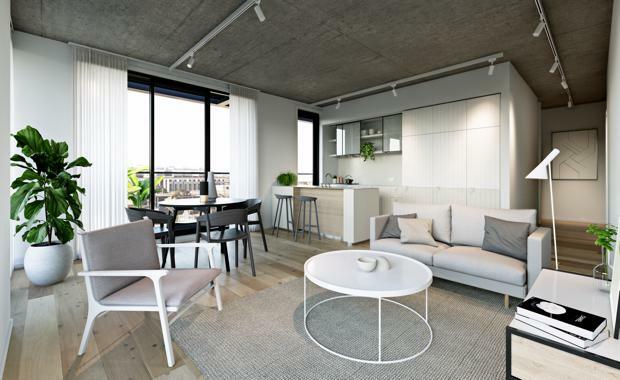 The apartments come with a natural timber floor, inspired by the original floors of the factory, and buyers are given the option of choosing either a light or dark colour scheme to match their interior palette. Buyers also have the opportunity to purchase a specialty piece of furniture, designed to fit perfectly within their home, a bespoke service that is typically too expensive for many buyers. Seamstress is currently 50 per cent sold and construction is due to commence later this year.